Home Sharing is a feature designed by Apple to help iOS users easily share their iTunes media libraries among multiple iOS devices via a Wi-Fi network. Before you take advantage of this feature, make sure that all your devices are on the same home network, otherwise Home Sharing will not work. When Will Home Sharing Error 5599 Occur? 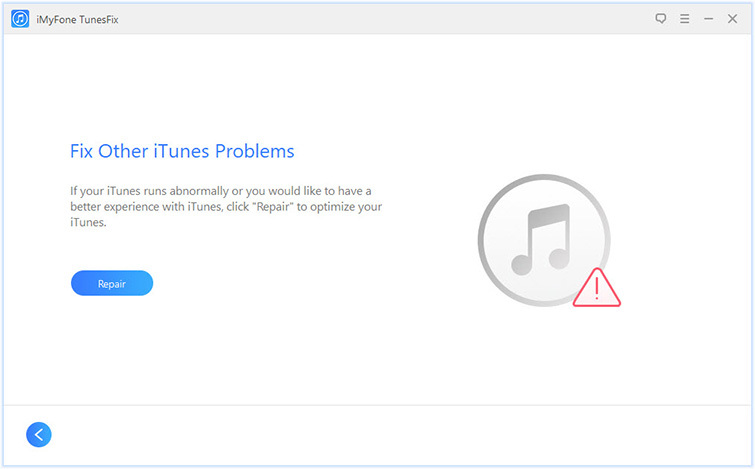 There are a variety of errors iOS users may face when trying to use Home Sharing to share their iTunes library. One common error is Home Sharing error 5599. This error can occur in a number of scenarios. According to some users, error 5599 occurs when you are about to enter your Apple ID and password to use Home Sharing. Others report that this error occurs when you are trying to turn on Home Sharing. When creating a Home Share on your iTunes, you may also see the error 5599 which will prevent you to proceed. iTunes encounters various bugs and errors from time to time. Errors such as Home Sharing error 5599 can occur at any time. So you must have the necessary tools to fix such errors when the time comes. 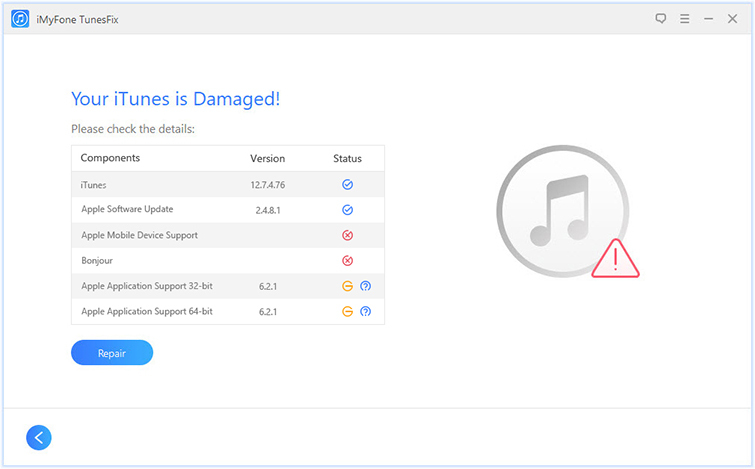 That’s why it is recommended that you install iMyFone TunesFix on your computer because this tool has all the features that you will need to fix any iTunes issue, including error 5599. 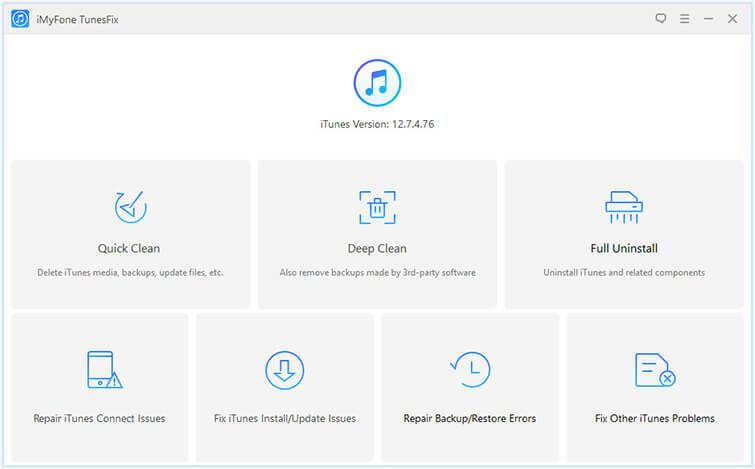 Not only TunesFix automatically detects iTunes issues, it also has several manual repair modes that allow you to target various issues and fix them promptly. Fix 100+ iTunes issues with the help of powerful, advanced repair modes. Automatic scanning of iTunes to detect various issues. 100% safe iTunes repairing; your iTunes library stays untouched during the repairs and your valuable data is not lost. Boost the performance of iTunes by cleaning its temporary/junk files. Completely uninstall iTunes as well as its related components with one-click. Step 1: Open TunesFix on your computer and let it scan your installed iTunes. Step 2: Fix any problem that is detected via automatic scan by using the Repair button when prompted. If no issue is detected, then the home screen of the software will open. Step 3: From the home screen of iMyFone TunesFix, select the mode called Fix Other iTunes Problems. Step 4: Click the Repair button to proceed. TunesFix will now attempt the repairs. The software will connect to the internet for repairs so make sure that your connection is stable during the process. Step 2: Navigate to Account > Authorization. Step 3: Now click the option called Authorize This Computer. Step 2: Navigate to Account > Sign Out. 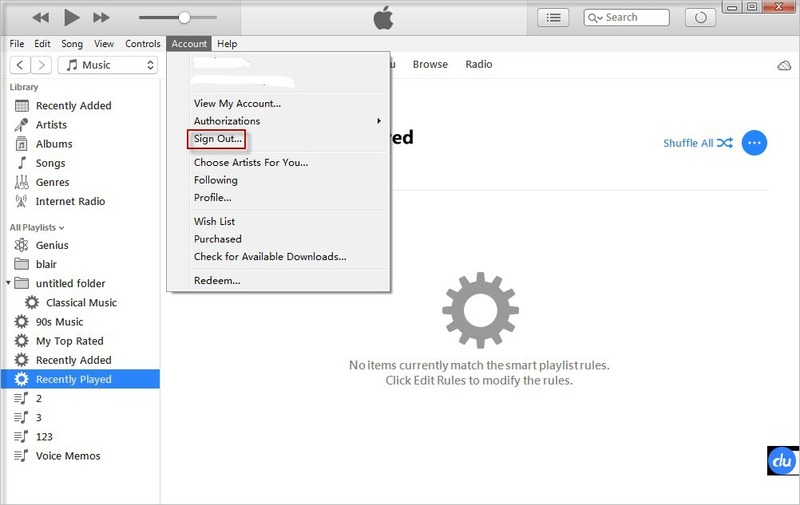 Step 3: Now restart iTunes and then sign back in by navigating to Account > Sign In. Step 1: On your Windows PC, open Services via Start Menu. Step 2: Find and double-click on the Bonjour System Service. Step 3: Click the Stop button and then restart your computer. The service will start automatically. Home Sharing is a great feature of Apple that allows you to share iTunes library across multiple iOS devices. 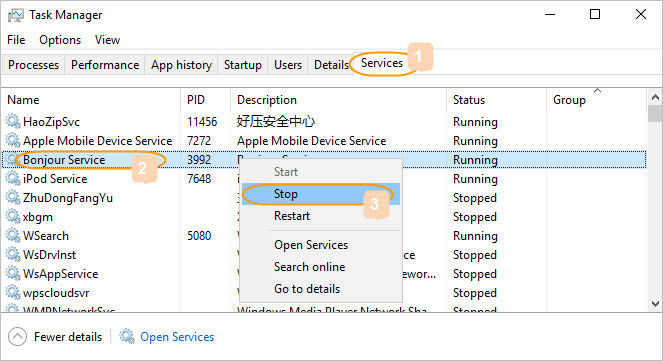 If you encounter error 5599 when activating Home Sharing, then it is recommended that you first give iMyFone TunesFix a try because this is an automatic way to solve such issues and will save you a lot of time and effort. If the problem is not solved, then you should try the other solutions one by one until the error is fixed.